Former IMG College President and ISP Sports Current President Ben Sutton invested in Tailgate Guys this year, propelling the company's growth from $7 million in sales to $17 million. 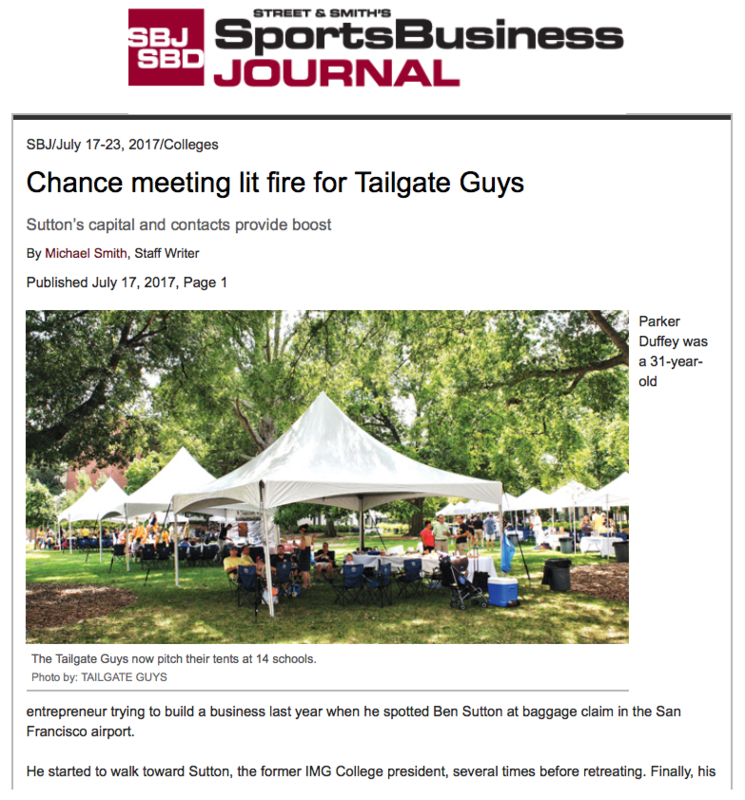 Parker Duffey, Tailgate Guys President, and CEO was interviewed about the partnership in the newest edition of Sports Business Journal. "I feel like we’re in the right place at the right time, with all of the emphasis on the fan experience,” Duffey says of Tailgate Guys current position within the college sports hospitality arena. Sutton and his investment firm have an interest in sports and non-sport related companies, with Tailgate Guys claiming the first round of investments.